Product prices and availability are accurate as of 2019-04-17 18:02:42 EDT and are subject to change. Any price and availability information displayed on http://www.amazon.com/ at the time of purchase will apply to the purchase of this product. 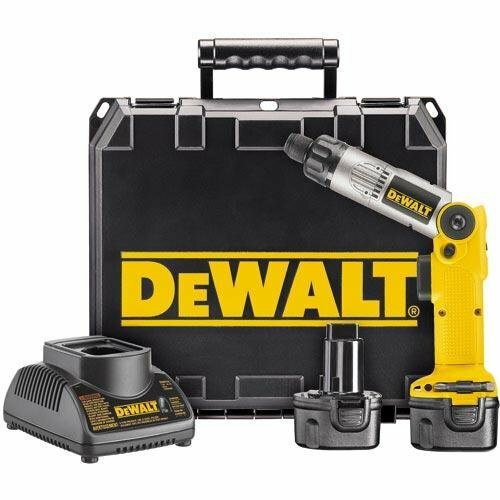 Fast, efficient, and versatile, the DEWALT DW920K-2 1/4-inch 7.2-volt cordless two-position screwdriver kit features heavy-duty construction, the convenience of variable speed, and a 7.2-volt battery pack for quick charging and longer run time in small fastening applications. It's ideal for professional use and comes with two batteries, a charger, bit, and kit box for easy storage and portability. 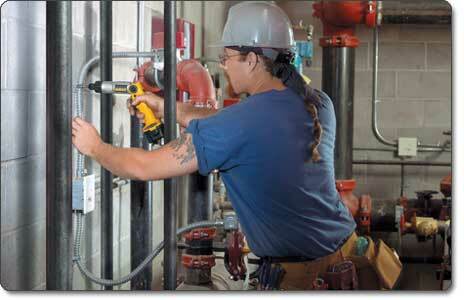 Fasten screws in hard-to-reach places with this two-position screwdriver. 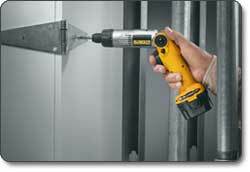 The angle grip allows for comfortable handling in a wide range of tasks. 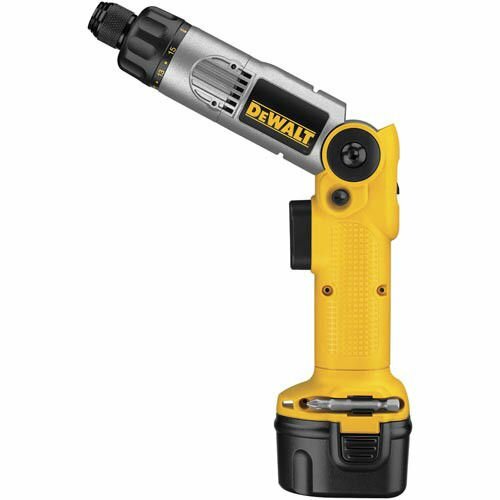 Compact and powerful, this DEWALT DW920K-2 1/4-Inch 7.2-volt cordless two-position screwdriver kit provides 80 inch-pounds of maximum torque output for a superior power-to-weight ratio in a variety of fastening applications. As versatile as it is robust, the DW920K-2 offers the convenience of variable speed (0-500 RPM) to match the correct speed to the job at hand, as well as a reversing trigger switch for fastening and pre-drilling into wood, plastic, and light-gauge metal. Designed to be as user-friendly as it is efficient, the DW920K-2 features an adjustable two-position handle that allows for operation as both in-line tool and an angled grip for tight spaces and overhead work, increasing your project flexibility. 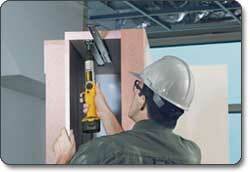 And a heavy-duty metal hinge provides secure and sustained two-position lock. To minimize downtime, an industrial, quick-release, hex-shank chuck allows for quick screwdriver-bit change and prevents bit run out. For added convenience, both a 7.2-volt battery pack and an electric brake enhance productivity. 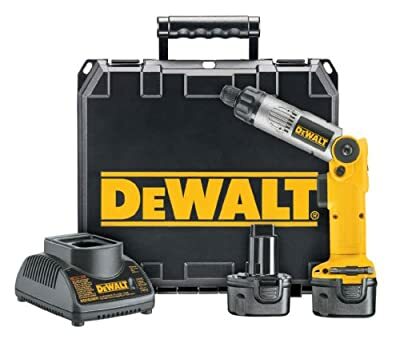 At 3.5 pounds, the DW290K-2 1/4-inch 7.2-volt cordless two-position screwdriver kit is lightweight enough for all-day jobs without excessive stress on wrists and hands. It's also backed by a limited three-year warranty, 90-day money-back guarantee, and one-year free service contract. One DEWALT DW920K-2 1/4-inch 7.2-volt cordless two-position screwdriver, one-hour NiCad charger, two 7.2-volt compact NiCad batteries, screwdriver bit, and kit box. 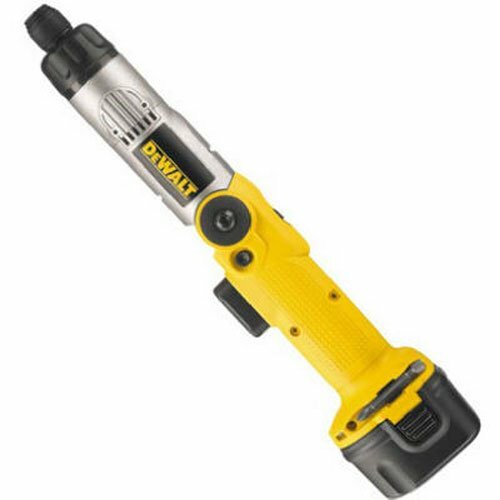 With 80 inch-pounds of maximum torque output, this screwdriver will stand up to a variety of job site tasks.